A4 size (21×29.7 cm) or (8.3×11.7 inch) with bleed (21.5×30.2 cm) or (8.5×11.9 inch). Lady’s Picture is not included. Replace it easily with your own via Smart Object. The link in the help file. Text: All the text is editable just by simply double-clicking on the text’s layer in Photoshop, and just typing in your desired information. Model: Double click on the smart object layer “Double-click to edit”, place your picture in the newly opened window and save. 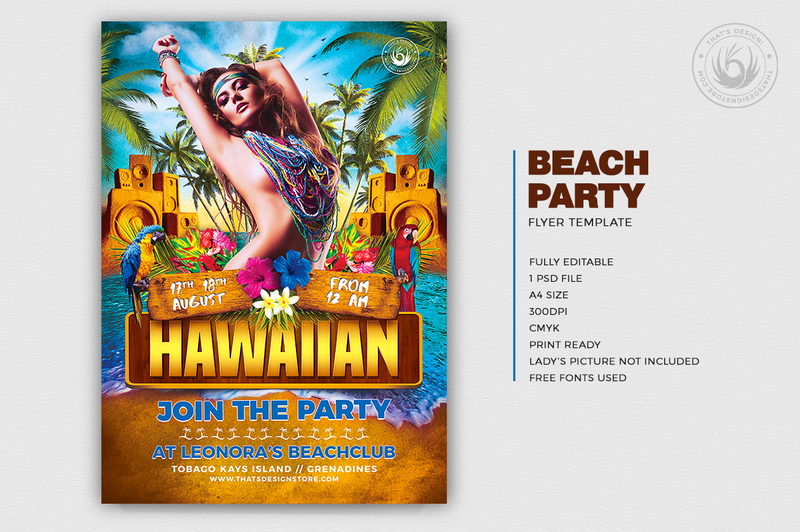 Check out this Beach Party Flyer Template 5 designed to promote a Summer and Beach Party, House music event. 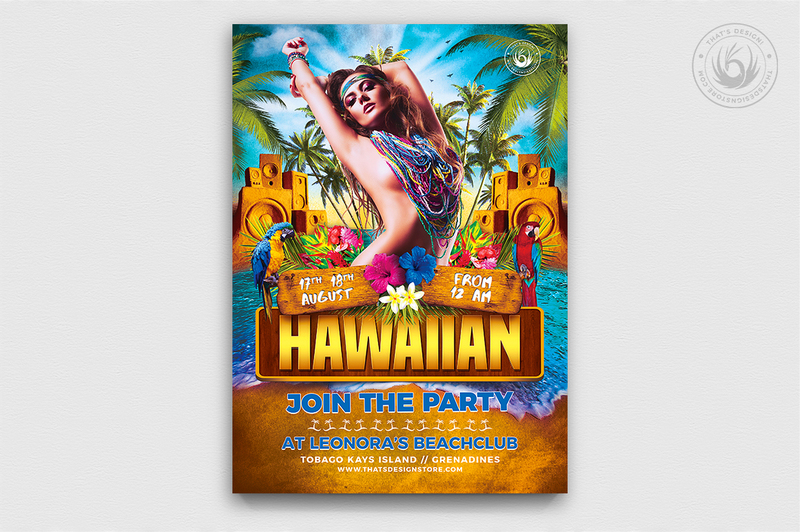 Customize your Photoshop psd flyer template easily. Included in our famous Massive Bundle 300 Flyers for just $39.